As the long time chief political cartoonist of the Indian Express, E P Unny is among the best in the business . The acerbic tone and wry humour of his cartoons have always been in the vein of his illustrious predecessor, Abu Abraham, rather than the gentle digs of their contemporary R K Laxman. 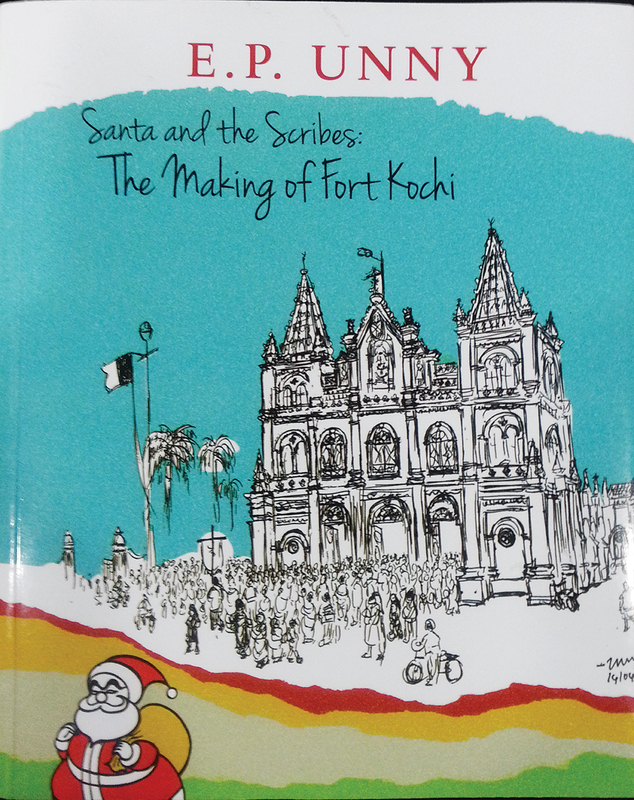 Unny brings to bear the same acerbic tone with great results in his brilliant new travel book, Santa and the Scribes: The Making of Fort Kochi (Niyogi Books). Part history, part travelogue, part urban commentary on Kerala’s most famous city, Unny uses his preternatural wit and mastery over both drawing and writing to create a graphic story book that is informative, instructive and fun to read, not just for the potential visitor and the armchair traveler but also for the fans of the graphic novel. Kochi’s famously iridescent history (involving the Arabs, Portuguese, Dutch and the British) and its modern day cosmopolitanism, urban oddities, the gentle quirks of its various communities, its historical landmarks — all come alive as never before with the very distinctive Unny treatment. This book is a better guide to Kochi than anything you may have read so far.